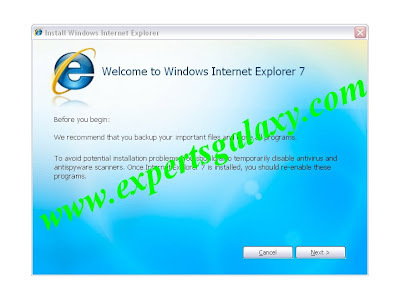 Microsoft® Windows® Internet Explorer 7 is a major step forward in security and privacy protection, end-user experiences, and platform advances for Web and application developers. As you read through this paper, you'll learn about the important capabilities of this exciting new version. Read the Technology Overview to learn more. * Makes everyday tasks easier with improved navigation through tabbed browsing, Web search right from the toolbar, advanced printing, easy discovery, reading and subscription to RSS feeds, and much more. * Dynamic security protection through a robust new architecture, security features that help defend against malicious software (also known as malware), and new ways to better protect against the theft of personal data from fraudulent Web sites, a practice known as phishing. * Improved platform for Web development and manageability, including improved support for cascading style sheets (CSS), a rich RSS feeds platform, and robust tools for deploying and managing Internet Explorer 7 in large enterprise environments.